iQ Power Tools - YTT Inc.
iQ Power Tools was born from the need to find a solution for dust problems in the masonry industry. Usually, dust created from masonry products makes a huge mess, costs a lot of money, and it’s a threat to the health of anyone in the industry. iQ Dustless Saws eliminate that dust, saving you time & money and keeping you safe. 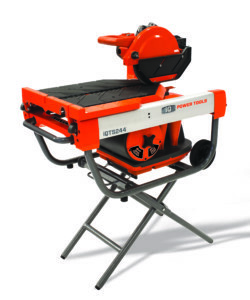 Youngstown Tile is now your one-stop shop for iQ Dustless Saws! The iQTS244™ Dry Cut Tile Saw eliminates the need for cutting with water – no more need to set up outside, away from your job, or struggle to setup and cleanup your tarps, hoses, spray guards, and contaminated water! This dustless tile saw is the first of its kind, offering you the precision and versatility of a wet saw with less mess! This dustless saw has a 10″ blade, full-width table and 24″ cut capacity as well as 18″ diagonal cuts and a cutting depth of 1″. The iQTS244™ is built to meet the demands of everyday construction and heavy workload, allowing you to handle the trickiest and most technical tile jobs with ease. Contact us today for more information on this and other iQ Dustless Saws! GET MORE INFORMATION ON IQ DUSTLESS SAWS TODAY!